Last week Madi got her first haircut! I know that this seems like no big deal to most of you, but to us, it is HUGE. 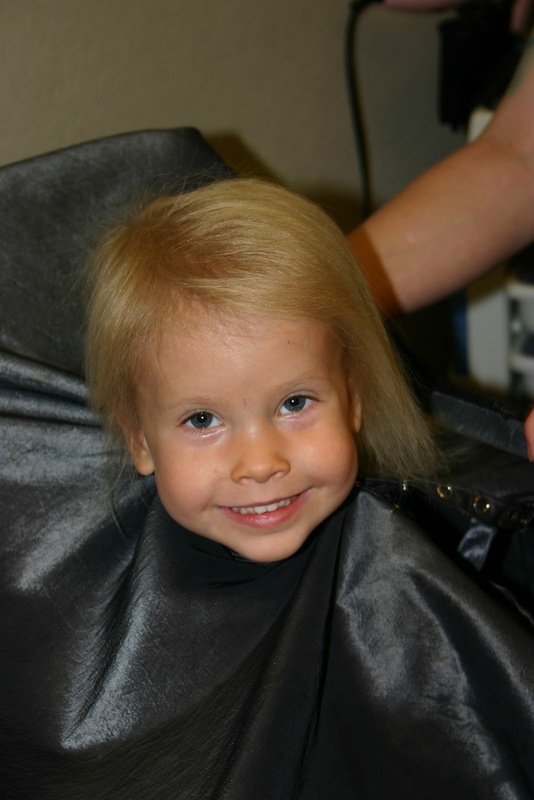 There was a time when Madi needed many shunts, and because of that, her hair was getting constantly shaved. The neurosurgeon would bring me the hair he had shaved, in case I wanted to keep it for her baby book. I did keep the first batch, but after that, all I wished for was for her to be able to get her first hair cut; not because her hair had been shaved off for surgery, but because she hadn't had surgery for so long, her hair actually was able to grow long enough to need a cut. I finally got my wish! 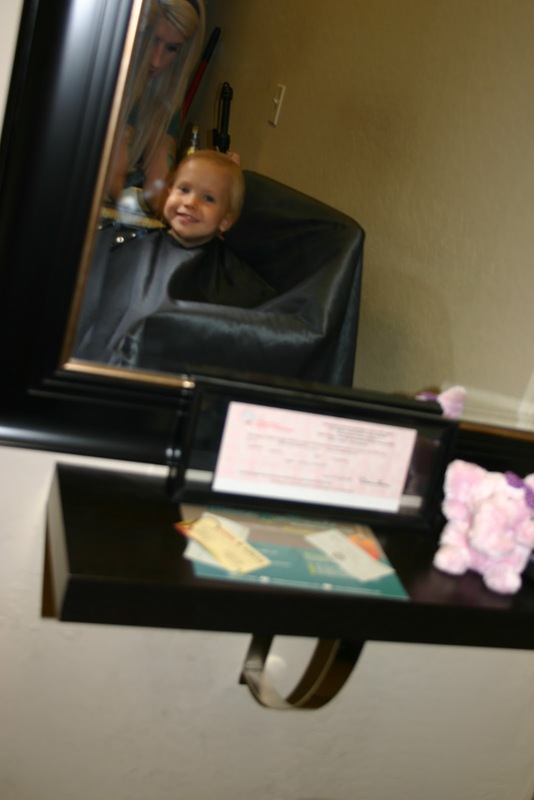 Here's a few pictures from Madi's first hair cut. Madi is so cute and kept asking me where her hair cut went. Ha! The new cut looks great on her! Conner got his hair cut too. He was saying he wanted to grow his hair down to his feet, but once we got there, he decided he wanted "spikeys". For some reason, he wanted red spikeys, but Ashley didn't have any of that spray that washes out when you wash their hair, so he only got half of his wish. He does love the new cut, though, and keeps asking me to make it in to a mohawk. 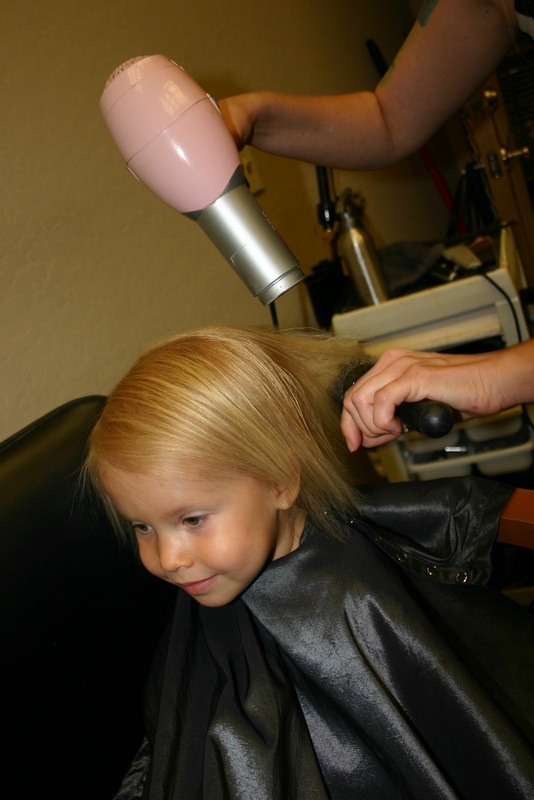 This picture is from when Ashely was in the process of cutting it. It's pretty short now, but makes a cute little mohawk when he has me spike it. 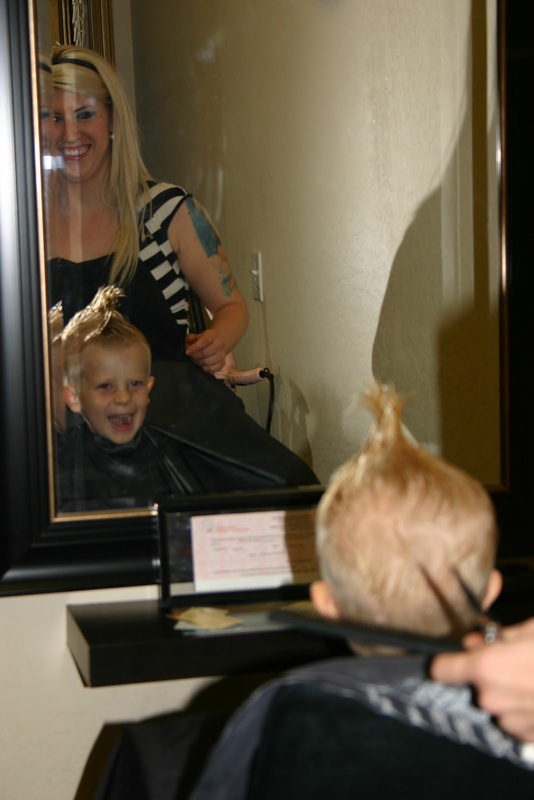 As you can see, he really likes when Ashley cuts his hair :). What cute kids you have there! Madi did brilliant having her hair cut, looks like she enjoyed every single minute :) I know so well how much you look forward to the first haircut, Caitlin's hair just starts to grow back before she has another shunt revision. Can't wait to I can put it up in little bunches :) Well done Madi for being such a good girl! Look at her excited face! So cute!